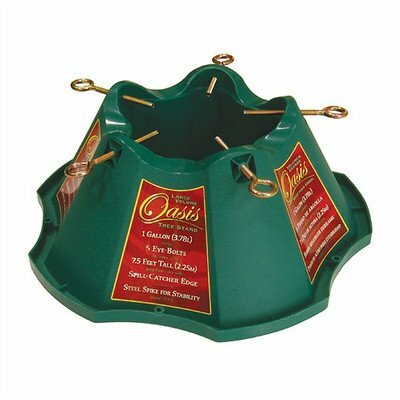 519-ST Features: -Created from red and green plastic.-Oversize bowl holds up to a gallon of water.-Ships fully assembled.-Maximum Tree Trunk Diameter: 6''.-Leg Span: 19''.-Water Capacity: 1 gallon.-1 lb. Includes: -Stand includes steel base plate for maximum support. Dimensions: -Maximum Tree Height: 8'. Warranty: -Limited manufacturer warranty.